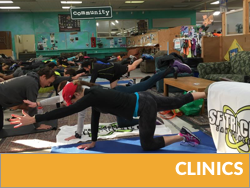 Our run program includes track, trail and road training as well as clinics. Workouts are member led and posted on the calendar for all paces and distances. Route sheets are included in the posting or provided at the meet up location. Questions? Feel free to email the Track Coordinator or Run Coordinator. Interval training makes you faster! Each week follows a different plan designed to build your base and running form. 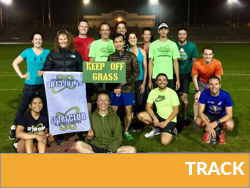 Weekly track workouts are included with your SFTC membership! The 2019 track season begins on January 15, with Intro to Track, followed by the first full track workout on January 22. and will continue through September. 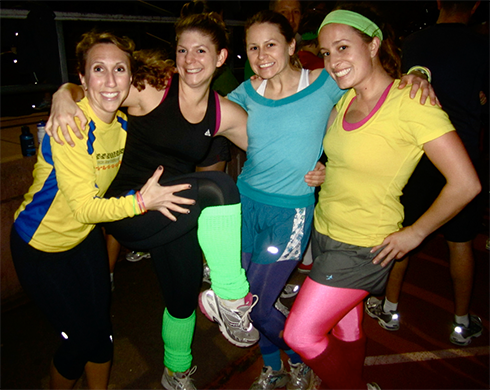 Workouts are usually held every Tuesday at Kezar Stadium, but may move to an alternate location based on availability. Consult the calendar for updates. Things you might consider bringing: water, a jacket, snacks, a watch, a smile, A FRIEND! Complete four of the five challenges to win a custom pint glass with SF Tri road and trail logos on it! Click here for the requirements and to log your progress. 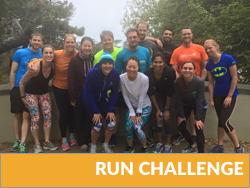 And new for 2019, an Adventure run challenge - check it out here.